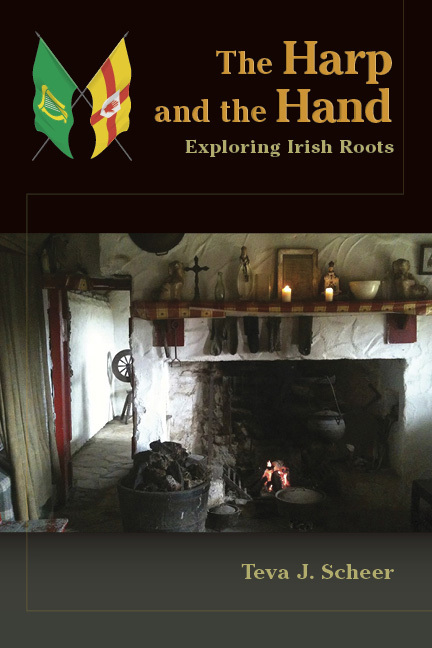 “The Harp and the Hand” does for Irish genealogists what “Our Daily Bread” did for German genealogists. Using two fictitious families, one in the north and one in the south, Teva presents an easy-to-read summary of Irish history, from the Celtic period to the end of the Nineteenth Century—the period when so many of her readers’ ancestors left their native Ireland for new homes in Canada, the United States, Australia, and New Zealand. 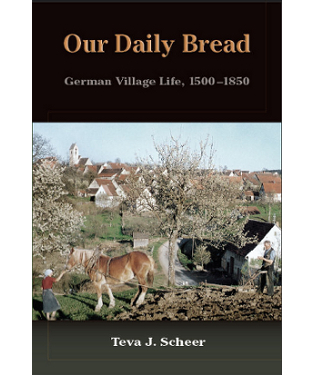 Teva explores their daily lives through the century—their houses, their work, their marriages and families, and finally, their journeys to their new homes overseas. Although the two families are fictitious, the text includes over 500 endnotes from the scholarly works used to write this book. Any reader who want to know more will find the notes and the bibliography invaluable.